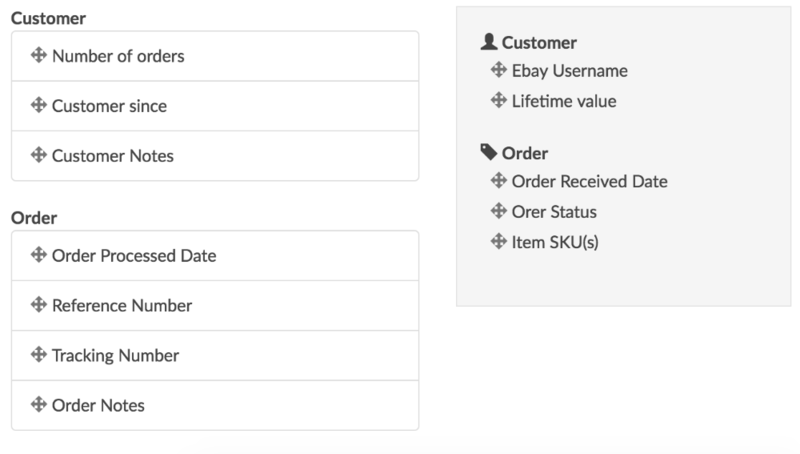 Your help desk app can be customised to set a certain number of previous orders, show/hide fields from customer or order information and add custom links. Simply click and drag an order from the left to the right to choose and re-order. Everything shown on the right hand side will be shown within your help desk app across all users.